As first announced in the last issue of Source, the Archives and Rare Books Library’s Shakespearean collection is prominently featured in the current Cincinnati Museum Center’s exhibition, “Shakespeare in the Queen City,” on display now through October 29. 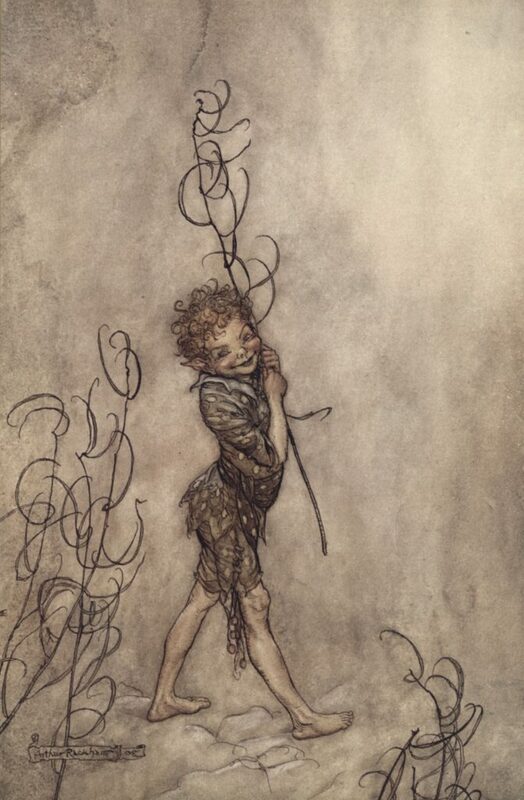 Illustration by Arthur Rackham. Midsummer What Fools These Mortals Be. The free exhibition has as its focal point one of 82 First Folios belonging to the Folger Shakespeare Library in Washington, D.C., each containing 36 of the playwright’s published works. Visitors to the exhibit will also see works from the collections of the Cincinnati Shakespeare Company and the Public Library of Cincinnati and Hamilton County that show how Shakespeare’s works were performed and celebrated in Cincinnati’s libraries, schools, homes and theaters. One hundred years ago, the University of Cincinnati celebrated the Tercentenary of Shakespeare’s death. 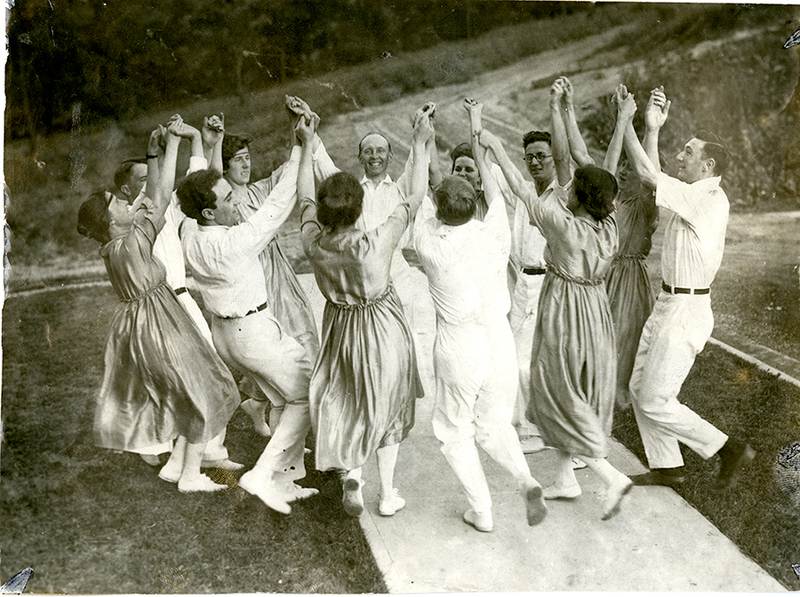 The week-long celebration took place in June 1916 primarily in Burnet Woods. The celebration consisted of performances and reenactments. The “Shakespeare and the Queen City” exhibit includes from UC’s Archives and Rare Books Library ephemera from the 1916 pageant as well as four illustrated volumes that are the work of artists Arthur Rackham, W. Heath Robinson, Owen Jones and Edmund Dulac.